Did you actually watch it or did you just scroll down past it? Did I just call you out on being a half-assed blog reader? Go back and watch it… it’s seriously funny. One tidbit of information that made its way around the internet with a bit of is-it-true or is-it-false mystery was the announcement that Pixar will be coming out with a sequel to their beloved Finding Nemo movie entitled Finding Dory. (While inserting those IMDB links I just saw that Finding Nemo came out in 2003… as in 10 years ago. I feel old.) Anyway, as it turns out, Finding Dory is not a joke. April Fools to Finding Dory to Finding Nemo made me think of my own ties to the underwater world, namely Tanith the Humback Whale and Marty the Tortuga. I met Tanith, and I use the term “met” loosely, when I was in grade school. For Christmas my aunt had surprised my sister and I with the coolest gifts of ever: whales! I got a freakin’ whale! Her name was Tanith and her mom’s name was Nurse (Nurse went to my sister). It was one of those sponsor-a-whale-for-a-year kind of things and I couldn’t have been more thrilled. I took her informational postcard and picture to school with me and I bragged about her to anyone who would listen – I think I even got a few younger kids to believe she lived in my bathtub at home. Even though the sponsorship only lasted a year, I kept her picture on my wall and her memory in my heart for much longer. Isn’t she just the coolest thing ever?! My Aunt Barbara really hit a gift-giving home run that year for sure. Years later, a second sea creature came into my life. His name was Marty – Marty the Tortuga. I don’t know where he is now or what type of shenanigans he has been up to since I last saw him (he is far less Googleable than Tanith) but I know where he was on the day this photo was taken in December, 2005. He was with me. That’s him in my hand. Kind of gross but still pretty cool. Also, note the cheerful expressions on the faces of the men behind me. They clearly love their jobs. 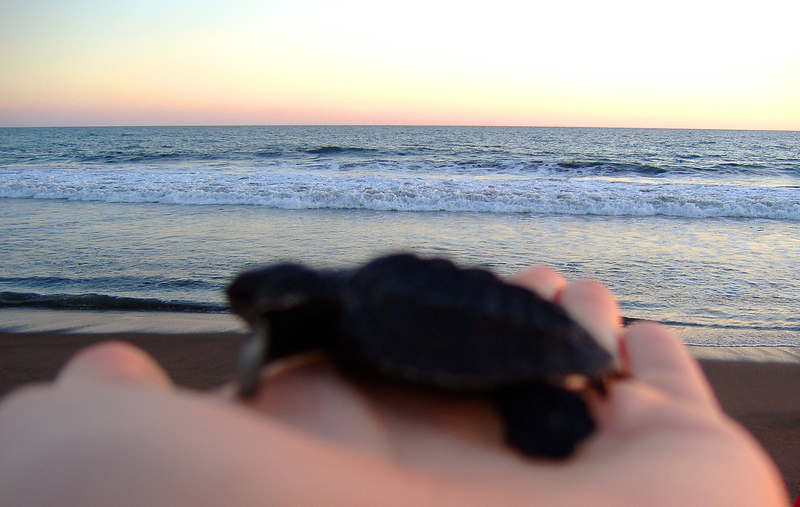 Marty was part of a conservation program in Monterrico, Guatemala. In an effort to help sea turtle eggs make it to hatch-hood and not get poached, they are collected from the beach and stored for safe keeping until they hatch. 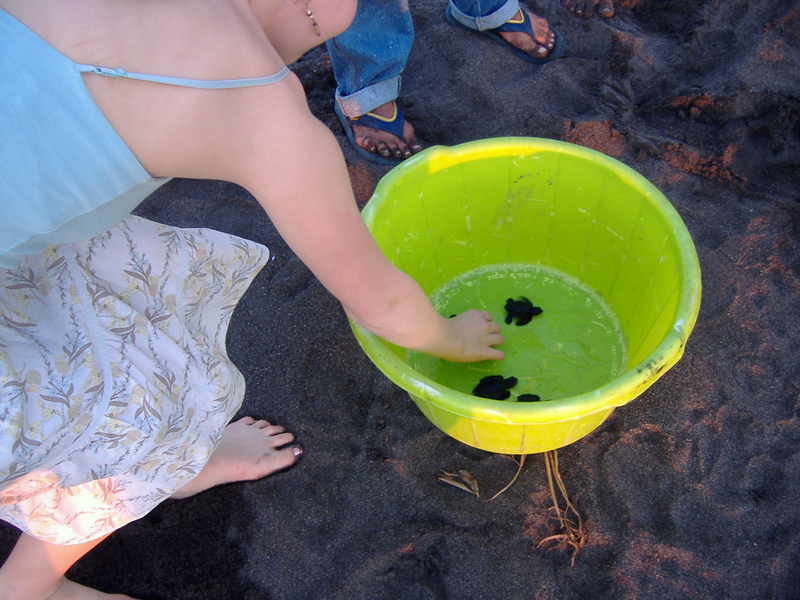 When the hatchlings are ready, people can support the cause (and get a cute story) by purchasing a baby turtle and releasing it on the beach. The proceeds benefit the program and if I remember correctly each turtle cost about $1USD. Choosing Marty from the masses. The tale is as follows: I picked out my turtle from a bin and waited for the other participants to do the same. Unfortunately, some of the other participants were kids who took way too long to choose a turtle. The turtles were fine; I, on the other hand, was getting more grossed out by the second. Marty was squishy and slimy (sorry dude). However, it was during this bonding time that I landed on a name for him – Marty the Tortuga. It was a perfect fit. Even out of focus, he just looks like a Marty. Once everyone had (finally!) chosen their turtles, the race was on. 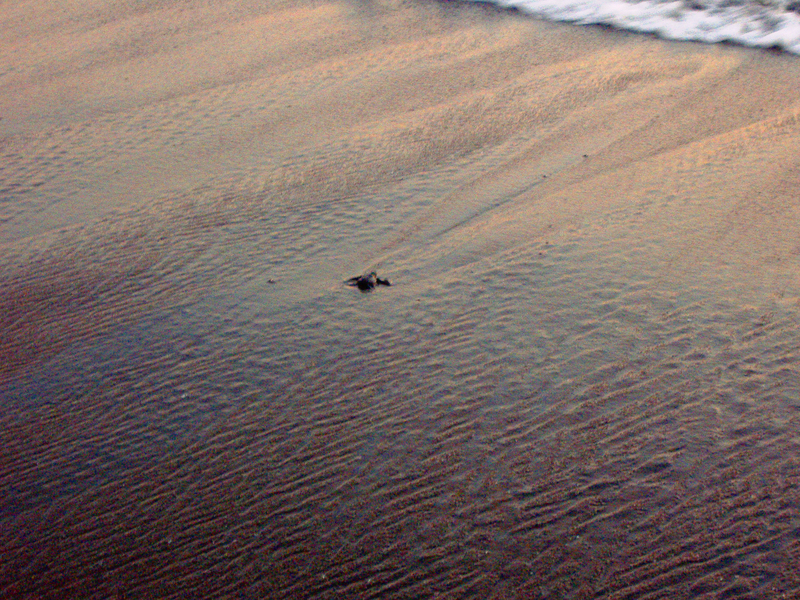 There they went, as fast as their little flippers could carry them toward the sea. Due to some pretty great instincts, every last one of them knew where to go. Marty hung back though. I mean, if this was a tortoise and the hare thing I could see it for storybook strategy reasons, but this was a turtle on turtle kind of race and Marty came in dead last. At the time, I couldn’t understand it; had I held him the wrong way and hurt him? Was he just a nice guy? (I’ve heard they finish last.) Then, last year when I was watching that Hunger Games scene when the main girl is warned not to go straight for the supplies at the start of the games because it will be a blood-bath, it hit me: maybe there were hungry predators anxiously waiting for those first little turtle flippers to hit the surf and maybe Marty was wise beyond his years… err, days… and knew that if he hung back, he might have a better chance for survival. So hang back he did – that wise rascal. I was the only one who got a shot with just their turtles and no others – just a little perk of having the slow one, I suppose. Eventually he did make it to the sea; and then he was gone. The sun may have been setting in the sky but his little life was just beginning – that is, if he didn’t get eaten right away. As far as Marty is concerned, I can only hope that I might have a similar moment like the one from the Budweiser commercial below. Wow, three movie/TV references in one post – how’s that for some pop culture? I’ll probably never meet Tanith and most likely, even if I did see Marty again he probably wouldn’t race down a street to hug me like that horse does, but even so, I think my little connection to the sea is kind of cool – which is more than I can say for my connection with creatures from the sky. Ugh… those are some scary tales for another day. For now I’ll just warn you to watch out for Spanish pigeons… and that’s no April Foolin’. Those whales were a good present, but I can’t believe you remember their names!! That’s incredible! 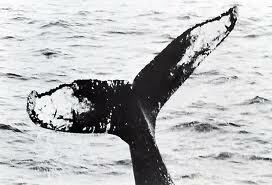 I seriously kept that picture for years… did you click on your whale’s link? She’s apparently a grandma now.